Deloitte has strengthened its north east team with the appointment of director Oliver Pendred to its Aberdeen office. The ‘big four’ firm said the move comes amid growing demand for international tax services from oil and gas companies. 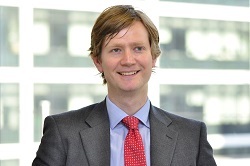 With more than 12 years’ experience in the energy sector, Mr Pendred (pictured) joins from Deloitte’s London-based Energy and Resources Tax Group. He will work closely with oil and gas firms in the region to tackle a number of challenges facing the sector including globalisation, volatile commodity prices, the OECD/G20 base erosion and profit sharing (BEPS) project as well as fiscal reform on the United Kingdom continental shelf (UKCS). Throughout his career Oliver has worked with UK companies and multinationals on a variety of issues ranging from tax structuring, to M&A, tax compliance, and tax audits. Derek Henderson, senior partner at Deloitte’s Aberdeen Office said: “At a challenging time for the industry, the demand for skills, knowledge and innovation has never been higher. Many organisations are facing a perfect storm of developments, with a volatile commodity price, UKCS fiscal reform and the potential impact of BEPS on their global operations. Mr Pendred added: “These are unprecedented times for the oil and gas industry, particularly in the North Sea as the region’s companies contend with a raft of changes alongside volatile oil prices. That being said, reform of the UKCS fiscal regime could present important opportunities for firms operating on the basin, especially in the context of current conditions. “On top of that, there are big changes on the way in international tax reform and BEPS is the most significant development for many years. This will undoubtedly have significant implications for any firms with operations abroad or which are looking to expand overseas.